You never know what may happen at any given time. 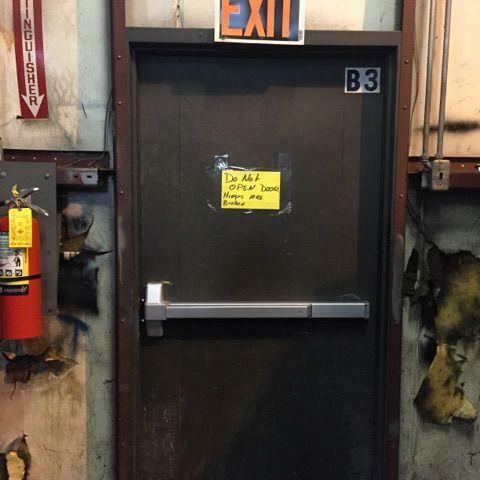 If you have a commercial property, you want to make sure that your tenants or visitors can exit the building in the event of an emergency quickly and safely. 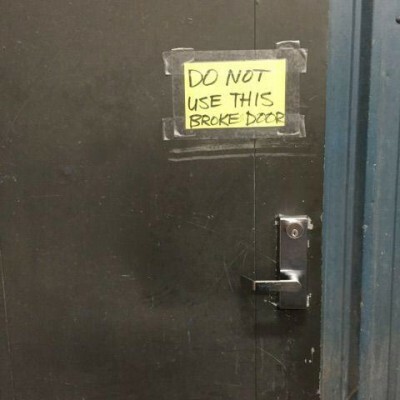 This should be done without having to turn deadbolts, remove chains or even use a key, to prevent any hazards from happening. Our Locksmith Portland specialists will tell you the importance of having this installed. A single action lock is a clever lock device that is not only there to secure against entry to a property, but also acts like an unlocked door from the inside for people wishing to exit. Single action locks are used in many places, such as child care centers, old age homes, offices, hospitals, commercial properties, and more. These special locks are easy to use and installed by our commercial locksmith company. Single action locks are activated from the inside of a property with a quick turn of a knob or the push of a handle, activating a single action lock which is inside the door. 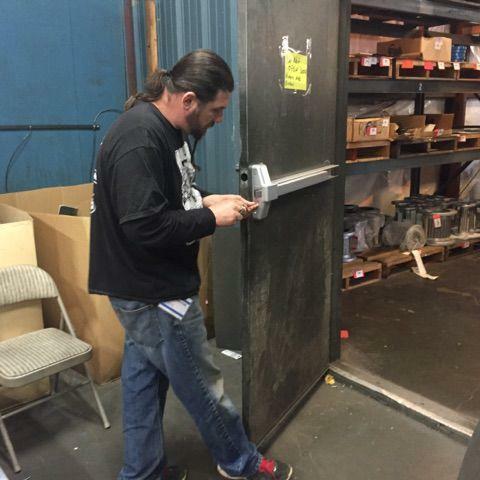 Single action locks are made to fit most commercial doors and can be installed easily by Portland-based Locksmith Monkey, allowing you to not only protect your property but the people within it at all times. The single action lock works in such a way that when the user presses down on the lever the deadbolt and lever latch retract simultaneously making the door latch open with one single action. Locksmith Monkey not only work on commercial projects but also on residential and automotive locksmith jobs across the Portland area and are the experts in all areas of 24/7 locksmith services. Used in both commercial and residential situations, single action locks are installed and maintained by Locksmith Monkey and work to ensure residents and tenants are free to exit quickly in the event of an emergency. As well as single action locks other emergency exit type locks include panic bars which are often called crash bars. 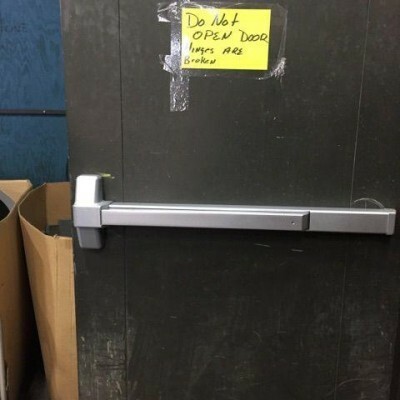 Panic bars or crash bars are often seen in units, night clubs, educational facilities, bars and shops and are run across the width of a door and allow individuals to exit a property quickly via a panic bar exit device. 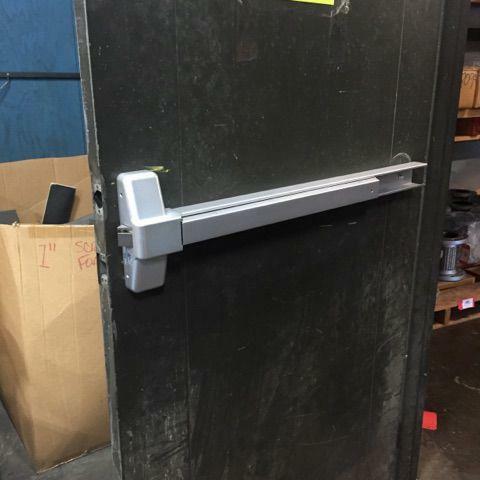 The panic bar is easy to operate and is simply pushed down to open an exterior door during the event of a fire or emergency. Panic bars are fitted to outward opening doors such as single or double doors and help to reduce the risk of a crowd crush in an event such as a fire or emergency where hoards of people are trying to exit a door during an emergency or panic situation. Panic bars or crush bars work to burst open a door in an outwards direction and allow a large number of individuals to exit a premises quickly and with delay. Whether you are looking to arrange a single action lock or a panic bar to protect your property, engaging a qualified and experienced professional from our locksmith Portland company is essential to ensure the job is performed correctly and to industry standards. 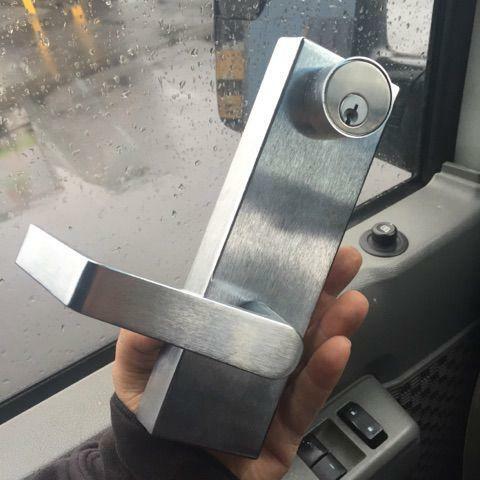 Locksmith Monkey successfully assists property owners in the Portland area with a full range of locksmith services including single action locks and panic bar installation. We work with residential and commercial properties and provide our services around the clock to ensure your property is secure and free from harm. If you’re in need of a commercial locksmith company, than Locksmith Monkey is available any time of day to assist with residential, commercial and automotive locksmith services. Call us now to schedule an in-home consultation with us!